The Smartest Guys in the Room recounts the rise and fall of Enron, the spectacularly fraudulent energy trading company whose 2001 collapse cost investors hundreds of millions of dollars. 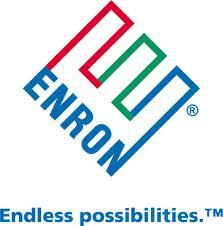 Here is a quick review of the Enron scandal: Enron grew from a pipeline company to an economic powerhouse by playing the middle man, selling long term gas contracts to buyers for a fixed price and paying cash upfront to gas suppliers, thereby reducing the risk associated with the wild fluctuations in natural gas prices. Buyers loved the stability, and sellers needed ready cash to develop new claims. As a side business, Enron would sell the long term contracts as if it were any other commodities future. It was a good idea that transformed the energy markets in the US. But Enron was so successful that the contract trading came to dominate the company to the point that it ceased to provide “real” services. Employees and executives were encouraged to land contracts which would be promptly traded away. The contract went on the books as income (even if a dime had not been paid), causing the company stock to go up, which generated huge paydays for the executives who were paid in stock. But no one was making sure that the contract was actually fulfilled. For example, Enron might sign a contract to build a power plant in India. Enron would then estimate the projected income generated from the power plant over the next few decades, declare that as profit, trade the contract on the market, see the stock rise and celebrate a payday. But the actual power plant would never get built! After all, no Enron executive would see his stock options increase if he spent his time trying to get a construction project done. India would never pay for the unbuilt power plant, so the projected cash flow never actually came in. Since they had to hide the debts incurred from the boondoggle from the stock market, Enron’s CFO would sell the debt to a shell company, and declare another profit. Eventually, of course, the ponzi scheme came crashing down. 1) The behavior you want out of others isn’t the behavior you talk about, but the behavior you reward. Enron’s mission statement extolled the virtues of respect, integrity, and transparent communication when the entire culture of the company in fact rewarded the opposite. No doubt Ken Lay, the hands-off CEO, actually believed in these virtues in the abstract, but he seemed so enamored of the ideal that he seemed incapable of seeing what he had actually created. Enron employees were rewarded for lying about their earnings. They were promoted for backstabbing and unscrupulous competition. 2) You get what you really want. Whether he was even fully aware of it or not, what Ken Lay really wanted was the appearance of a successful company, not a truly successful one. An apparently successful company fed his vanity, his political interests, and his stock portfolio, without him having to work too hard. A truly successful Enron would not have grown so big, but would still be around today making lots of money… and Ken Lay might still be alive. 3) Rainbows don’t have pots of gold at the end. Enron COO Jeff Skilling, who came up with the original way of structuring contracts, had some idea of the trouble the company was in (to the extent the CFO wasn’t lying to him), but he let it slide because he was always looking for the next big idea. To his mind, fudging the numbers a little bit for stock markets wasn’t so bad because Enron was going to someday come up with another big innovation that would grow them out of any problems they were having. Unfortunately the “next big idea” was usually a boondoggle, a result of the company extending itself outside of its core competency, natural gas. And each boondoggle has to be swept off the books with ever more creative accounting scams. For most of my career, I have been around allot of non-profit organisations, like schools or faith-based charities (Never again!) and I’ve seen Enron-like situations play out on a much smaller scale: a small religious organisation says its highest virtue is charity, when what it really rewards is control; a church pastor pushes “apostolic zeal” when he really wants is fundraising and membership without regard for what is actually being done for the members or with the money; a college preaches concern for the students and Making the World a Better Place to Live when all it really cares about is prestige. Just like Enron thought it was destined to grow forever because of an institutional delusion of being so smart, so these little organisations thought they were destined for success because their intentions were so good. Well, Enron wasn’t very smart at all. And I doubt the folks running those organisations had any real good intentions. Lying is a sin, even if you are lying to yourself.